Welcome to the College of Agriculture, Food and Environmental Sciences at South Dakota State University! One of eight colleges that make up SDSU, our college has an integral role in fulfilling the land grant mission of the university. In addition to six academic departments, the college is home to both SDSU Extension and the South Dakota Agricultural Experiment Station. The West River Ag Center is a satellite of the college, and serves as center for teaching, research, extension, and outreach activities in the western part of the state. The college is the largest at SDSU in terms of student enrollment, faculty and staff, and building space. Students choose our college because we offer a premier agricultural curriculum dispensed by faculty that are committed to student success. The practical nature of our programs attracts students from across the United States. Prospective students have over 20 majors and specializations to pick from. Enrollment is at an all-time high and tuition rates remain competitive. The post-graduation job outlook is very promising, as opportunities grow to meet the demands of a hungry world. Researchers in the College of Agriculture, Food and Environmental Sciences are internationally renowned, providing cutting edge research to fuel economic opportunity. Priority areas include animal health and nutrition, biotechnology, energy independence, sustainability, and stewardship. 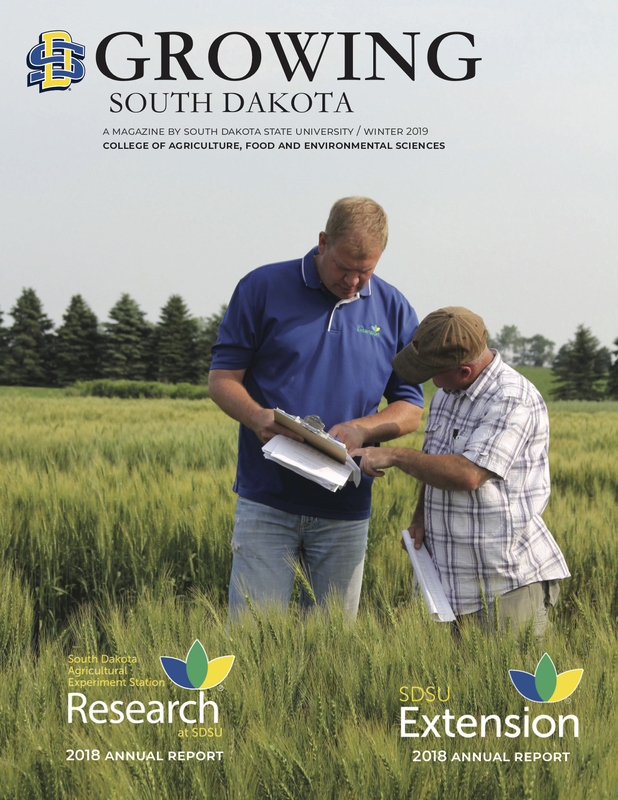 Most of the research done in the college is within the South Dakota Agricultural Experiment Station, which also includes investigators from the Colleges of Arts & Sciences, Education & Human Sciences, and Engineering. Most of our graduate students are involved in research programs, and opportunities for undergraduate research are continually growing. The five capstone areas of SDSU Extension are Competitive Crop Systems, Competitive Livestock Systems, 4-H Youth & Community Development, Food & Family, and Rural & Urban Initiatives. SDSU Extension field specialists are focused in eight region centers and three Federally Recognized Tribal Extension Program offices, while 4-H Youth Program advisors work from county centered offices. These are supported by state specialists and program directors based out of Brookings and the West River Ag Center in Rapid City. SDSU Extension's website brings its programs beyond the limitations of time and space. The Raven Precision Agriculture Center, to be located on the university’s main campus in Brookings, will lead the nation in precision agriculture education, research and extension.